This is one of those simple problems in Life that should also be just as simple to solve….if only one knows how to open up the remote. 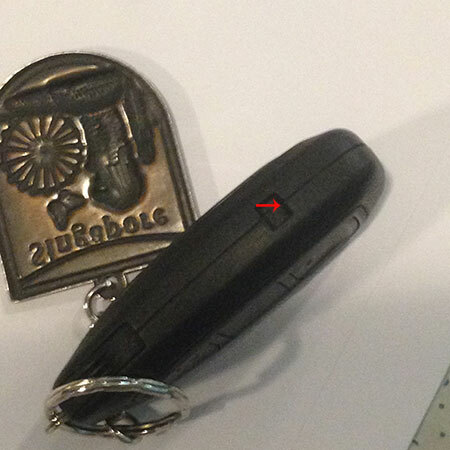 If you send it to a Car Remote Vendor, it’ll cost you probably RM15-RM30 (USD3.50 – USD7.00). 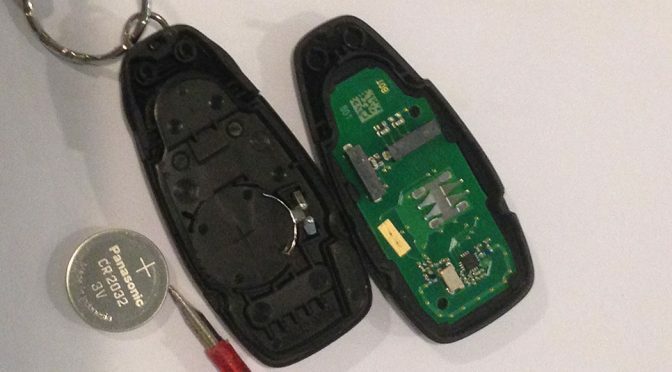 Here’s how to DIY for merely the cost of a replacement Li Ion battery that costs only RM1.90 (USD 0.45). 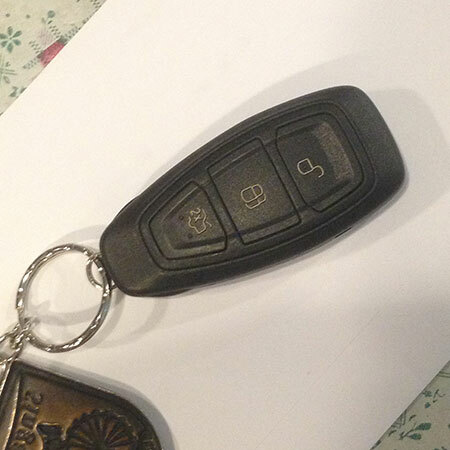 This is a typical car remote. 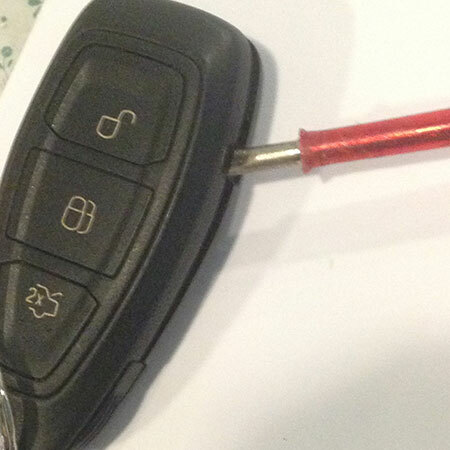 Picture shows the remote from a Ford Fiesta. There is a notch on either side of the remote. Insert a screwdriver tip in the notch and gently pry open the remote. You may need to gently pry/jiggle on both sides (both notches) to get the remote open. When the remote is open, you should be able to see the battery. Great! 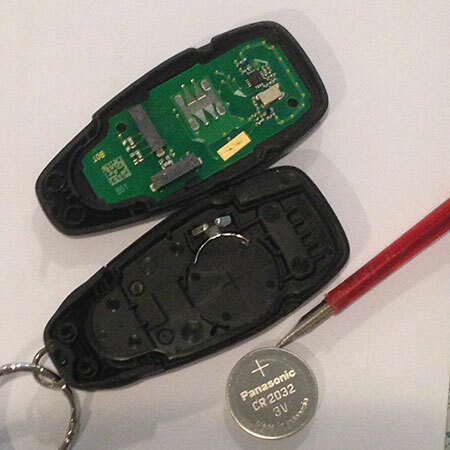 Use the screwdriver to gently ease the battery out. Caution! Observe the polarity when you replace the battery.